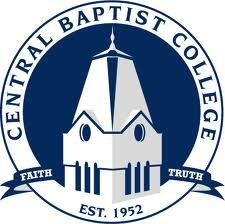 Central Baptist College is a four-year, private liberal arts college in Conway, Arkansas. Majors are available within the fields of behavioral science, business, general education, missions, music, religion, and science. CBC was founded in 1952 and awards both associate and bachelor's degrees. Enrollment is at 470 for traditional students, and over 200 non-traditional PACE Students.